A trilateral meeting was held this morning at the Office of the Prime Minister between Prime Minister Abiy Ahmed, President Abdel Fattah el-Sisi of Egypt and President Omar al-Bashir of Sudan. Also in attendance was Minister of Foreign Affairs of Ethiopia, Dr. Workneh Gebeyehu. 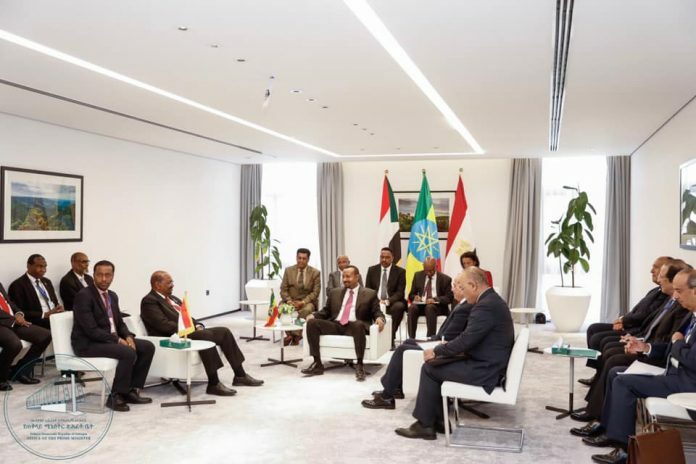 According to the Office of the Prime Minister-Ethiopia , the discussions focused on ways of strengthening relations on areas of mutual benefit to the peoples of the three countries.